Award-winning wildlife filmmakers, Neil Nightingale and Karen Bass, will be special guests on One Ocean Expeditions’ (OOE) 12-night Baffin Island – Jewel of the High Arctic cruise, departing on 1 August 2016. While Head of The BBC’s Natural History Unit Neil oversaw an immense number of successful TV series including Life, Planet Earth, Big Cat Live, Frozen Planet, Deadly 60 and Springwatch. He also directed the recent theatrical films, Walking With Dinosaurs and Wild Africa. Karen is a television director and producer with a passion for travel and natural history who, during 30 years with the BBC’s Natural History Unit and National Geographic, has made wildlife films in almost every corner of the Earth. Together they, and other on-board experts, will regale passengers with fascinating tales of their many interesting travel experiences, answer questions and educate with a series of presentations about the environment, wildlife and history of Baffin Island and the Canadian Arctic. “This voyage is a privileged opportunity to explore wild places that are so remote few people are ever fortunate to visit. It’s a fascinating area of the Arctic that is scenically spectacular and a major crossroads for wildlife,” says Neil Nightingale. Other highlights of this trip on board the comfortable expedition ship, the Akademik Ioffe, include visits to remote Inuit communities for a genuine insight into an ancient lifestyle, as well as a stop at an old Royal Canadian Mounted Pole outpost and the final resting place of some of the explorers who lost their lives on the ill-fated Franklin Expedition of 1845 to 46. 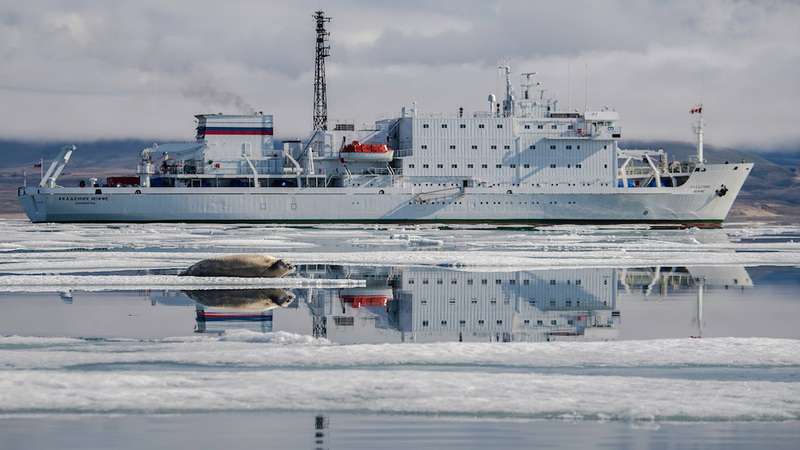 Crossing the Arctic Circle by zodiac boat or on foot will also be a focal point of the voyage, while spotting wildlife will be a daily pastime, with snow geese, walrus and endangered bowhead whales, polar bears, ringed seals and narwhal all among those who make their home in the region. Staggeringly beautiful scenery abounds along the route, with deep fjords that offer sheltered waters ideal for sea kayaking, soaring mountains to tempt the keenest of hikers and immense glacial systems that simply take the breath away. Prices start from US $7995 per person, based on triple share and include travel on a special charter flight from Ottawa to Iqaluit, all meals on board the ship and excursions as outlined, plus a charter flight from Resolute to Edmonton at the end of the voyage.